The best screen recorder on Window 8 for you to capture amazing video. Have you been in the labyrinth of trying to explain the process, but ended up with no desired results? Screen recording comes to the rescue in such case. Unfortunately, Windows 8 does not possess a built-in screen recorder. So in this article, we’ve been looking around for screen recorders for windows 8, and thanks to the amazing developers around the world, we stumbled upon the best of the best. In the market, some screen recorders have the built-in editing tools like adding annotaions, while others haven't, so for better experience and features, we will present the 10 screen recorders for Windows 8 with that standards. Screen recorders for Windows 8 can differ in the number of frames per second they offer. Filmora src offers 15-120 FPS with ease. It can record both from your screen and webcam simultaneously. Not only it has a full editing suite that allows you to edit your clips quickly and easily, it also allows you to communicate your message subtly with changeable cursors and annotations. It’s available for Win10, Win8, and Win7 and for Mac OS X 10.11 or later. You can export to multiple formats MP4, MOV, MP3 and GIF. 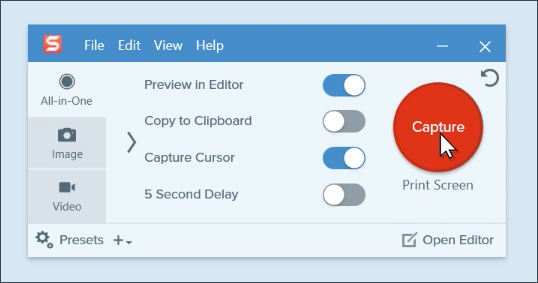 Another master tool in the list, Snagit allows its users to toggle between webcam and screen recording during a video. You can record yourself while working through steps or just grab individual frames out of a recorded video. Further, it is easy to create animated GIFs once you save your video recordings as MPEG-4 files. Apart from that, you can also record audio using microphone or your computer’s system audio and trim unwanted video clips at any section of the video. 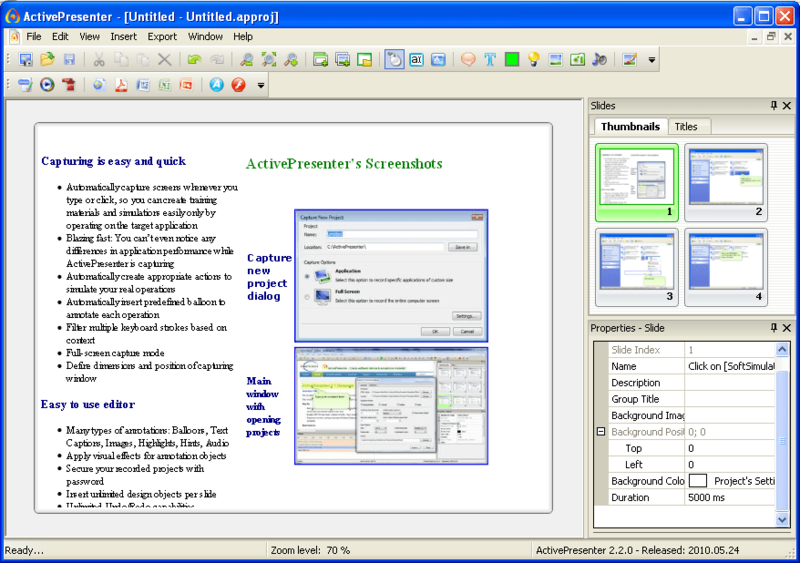 Atomi Active Presenter helps in creating screencasts and interactive e-Learning courses with no hassle. 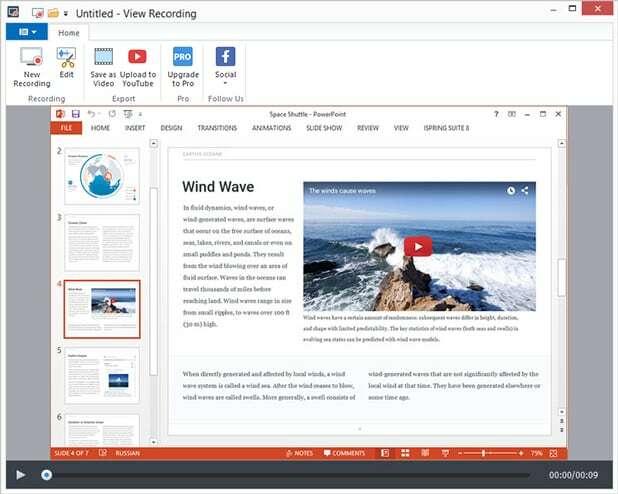 It’s a free screen recorder on Windows 8 with all the editing tools that will help you create an engaging and interactive screencast video. Available for both Windows and Mac OS, Atomi Active Presenter helps you easily create videos. For all the professional video lessons presentations, iSpring Free Cam is one of the best software in the market. It lets you highlight your mouse, record system sounds, select a recording area and even record your voice over and system sounds. Not only that, the software also allows you to fine-tune your videos. Further, your screencast will be a WMV video having HD quality (720p). Not only you can use the video in presentations but also email them to your colleagues and students or post it in social media. Ezvid Video Maker is a product that gives you a high-resolution movie on your screen in just a few clicks. The running speed is fast with the upgraded software core and multi-core CPUs. It permits title, description and keywords added to the recordings. Bandicam, as its developers claim, is an easy-to-use and also partly free screen recorder for Windows 8. Like Filmora scrn, this screen capture also allows you to capture any area of your screen both as a screenshot and as a video file. From lectures to webinars, games and Skype calls, users can record anything. Not only that, one can share it to YouTube, Facebook and Vimeo. Known for real-time video capture and benchmarking, Fraps is another name one cannot miss in the software needed for screen recording on Windows 8. It can be used as all three – Benchmarking Software, Screen Capture Software and Realtime Video Capture Software. It shows how many frames per second you’re getting in a corner of your screen. As a screen recorder that has developed a long time, it has summoned a mass of faithful users, so there is on worrry for you to use except you want to use some creative and convenient functionlities. 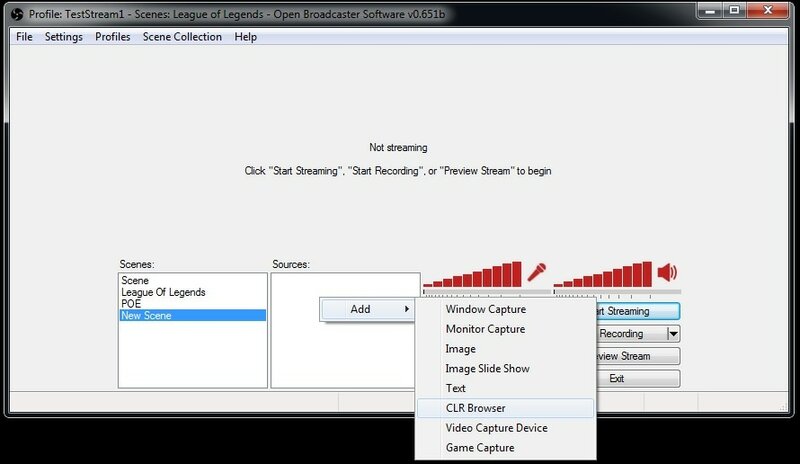 And when streaming screen recording live comes in the picture, OBS and as the name "Open Broadcaster Software" suggests, is a tool worth the use for live streaming. 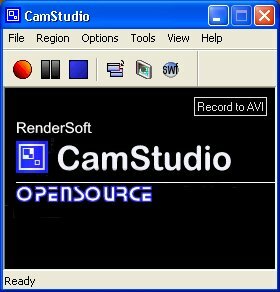 It’s free and open source software set for recording and live streaming. Perfect for gamers, this software works on Windows, Mac, and Linux. The live streaming videos can be shown through YouTube and Twitch. Utilizing GPU (Graphics Processing Unit), OBS gives no delays on live streaming with up to 60 frames per second. With a number of notable features, CamStudio is undoubtedly one of the best free screen capture software. It records your screen activity and the audio at the same time. In some cases, users can record unfixed problems like black screen, and then send to support team. If users want to add captions to your videos, Camstudio also can help you give viewers a clearer and more visualized understading of your recording. Probably the simplest and easiest to use is the Free Screen Video Recorder on Windows 8. As a free program you will get various options to change the default settings such as – change delay time before capturing, set the program to run at Windows start-up, set file name format for images or videos, select program language, change media format and check for updates. We do admit that we can't cover all of the best screen recorders for Windows 8, but we hope now you aware that what are your expectations and standards while searching for the best recorder. So choose the one that suits your requirements in the best way. If you want to add more effects, create rolling text and credits, add animated elements or edit videos further, we recommend you to try Wondershare Filmora9. The latest version of the video editor from Filmora team, Filmora9 empowers you to be more creative. You can do more with the audio files, composite video clips with some cool masks as well.